Shea butter is one of my favourite things to use on my hair. I like it because it is really thick and it does a good job at sealing the moisture in my hair. My hair is very thick and dense so I need heavy products to make my hair feel good. I tend to use shea butter after moisturising my hair with my Cantu Leave In Conditioner. 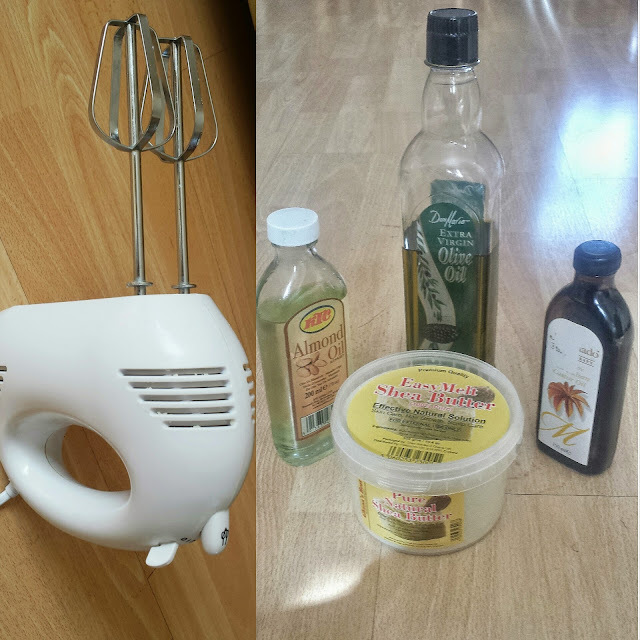 I usually add a few oils to my shea butter mix and I am not too particular about the oils I use. 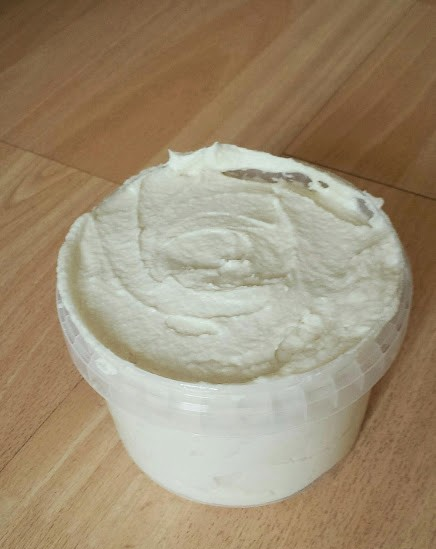 I don't go out to buy oils specifically for my shea butter mix, I just use what I have in my house. 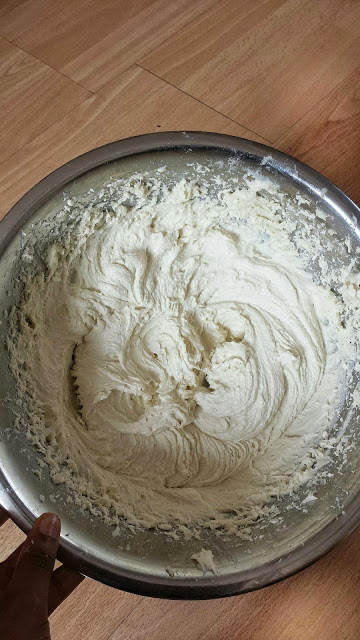 I mix the shea butter and the oils together until it has a soft creamy consistency. Omgosh! I love me some whipped hair butter! I bet that the almond oil makes this mixture super silky.